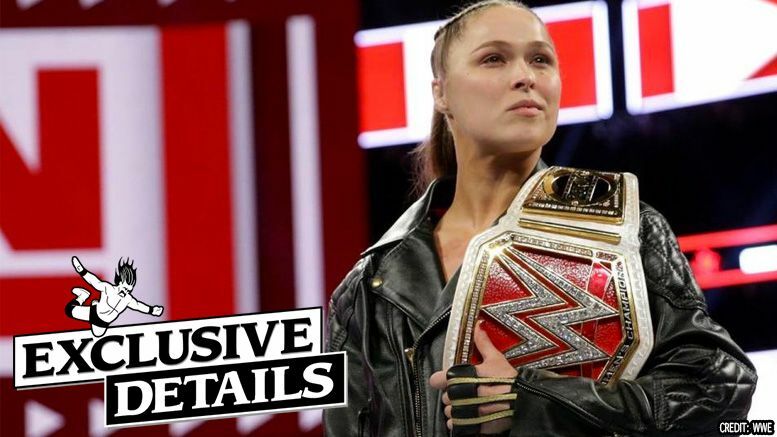 Pro Wrestling Sheet has learned reports of Ronda Rousey leaving WWE have been slightly blown out of proportion and, if anything, it’ll be a break at this point so she can start a family. Here’s what we know. Sources tell us WWE agreed while signing Rousey that she could take time away if she wanted to start a family. We’re told around Survivor Series she informed the company that it was likely she’d be taking that break after WrestleMania. However, we’re told this is NOT set in stone quite yet and things could change once the show of shows rolls around or after. It could also change if she starts a family and decides that her main priorities lie elsewhere, but as of now she still has time left on her multi-year deal. FYI — The Wrestling Observer’s initial report, despite saying Ronda was likely leaving WWE, also noted that she’d probably remain with the company in some fashion going forward.